Approximately 50 tractors in varying condition. 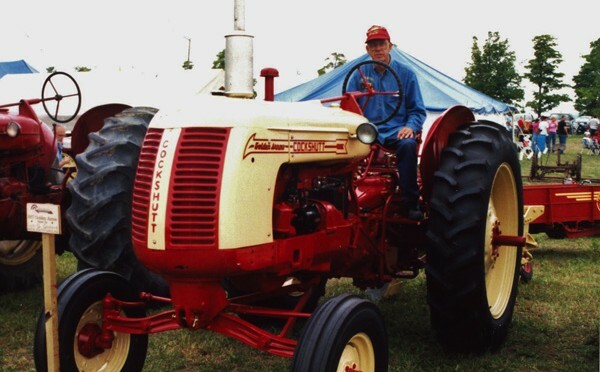 Brands like Cockshutt, Co-op, Farmall, Massey Harris, Allis Chalmers, Ford, SilverKing, Waterloo, John Deere, MORE! Dorr Michigan Tractor Collection Auction. grew, his children became involved, so there obviously needed to be more than one tractor! As the years passed, they retired from farming, but Cecil and Betty continued to grow the tractor collection to upwards of forty plus antique tractors. Cecil and Betty also enjoyed being involved in antique tractor clubs, where they participated in making replacement antique tractor parts so the old iron could be restored for the next generations of tractor enthusiast. and many more photos will be available on our website as the summer progresses. Call, text or email anytime for more information.